Welcome to the Overview tutorial! Here, we’d like to walk you through various parts of the Creator so you can learn a little more about the terminology we use. 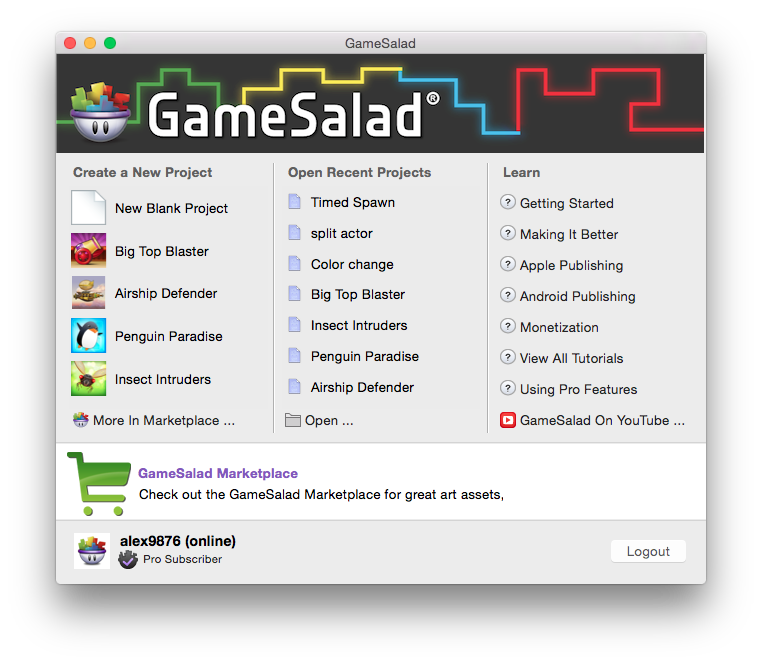 This is the GameSalad Launcher. From here you can start a new project, open a recent project, or open one of our templates to examine the logic and behaviors used. There are also direct links to the GameSalad Cookbook and Youtube channels if you are looking for instructional materials. 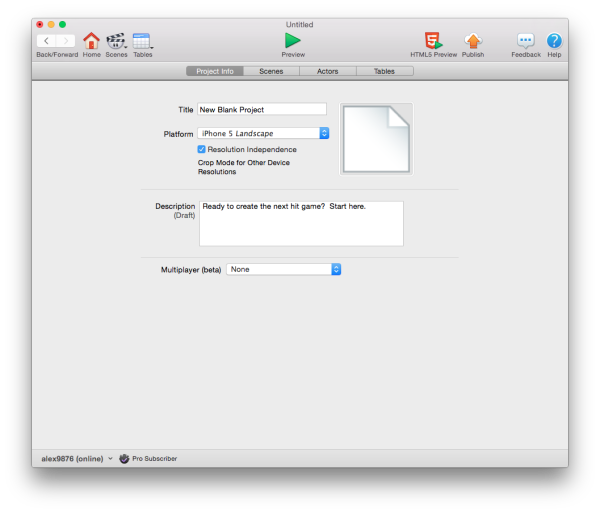 Here you can see what we call the Game Editor. You can change info about your project, add a title and a thumbnail, and easily navigate to other parts of your project from here. Be sure to take note of our tab organization at the top; clicking these this will take you to the list of scenes, actors and tables in your project. 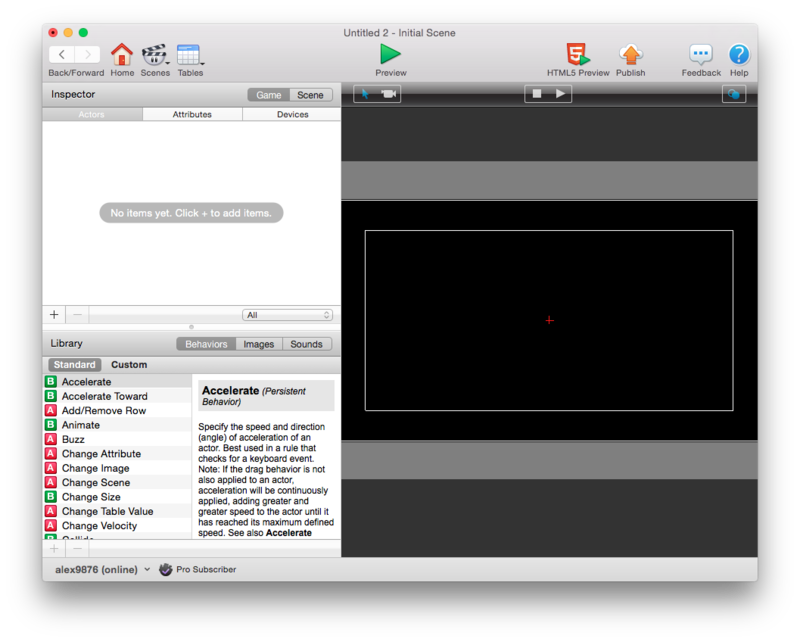 Double-clicking a scene will take you to the Scene Editor; double-clicking an actor will take you to the Actor Editor. Selecting “Home” at any point will bring you back to this Game Editor pane. 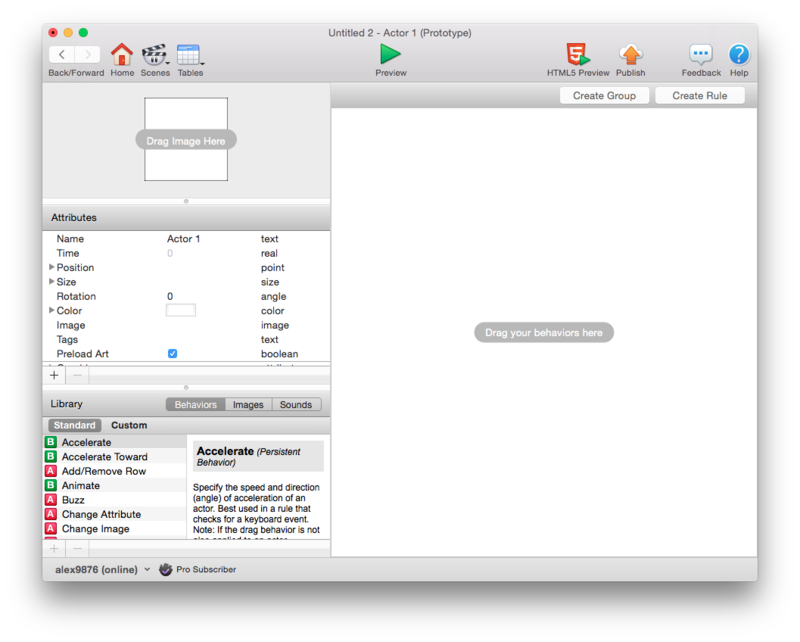 This is the Scene Editor. You’ll spend a large portion of your game-creation time here, setting up actors in the scene, referencing game and scene-level attributes, uploading new images and sounds, and navigating between actors. We’ll go into all these areas in much more detail over the next few tutorials. This is the Actor Editor. From here, you can add rules, behaviors, and attributes to each actor prototype, and also edit actor instances. The Actor Editor is the core of GameSalad, and will be used extensively as you set up how your actors work. We’ll spend a lot of time here as we progress through these tutorials.